Low-cost, low-density microscopic sodium borosilicate hollow glass spheres can be mixed into epoxy systems and polyester resins to thicken and extend without adding weight. Creates a lightweight, sandable compound ideal for fairing. Lightweight glass balloons or bubbles that are easy to sand when cured. Perfect for smooth finish work. Add these Glass Microshperes to epoxy to create a lightweight fairing compound that’s easy to sand or shape. If sagging is a concern, Silica Thickener may be added. 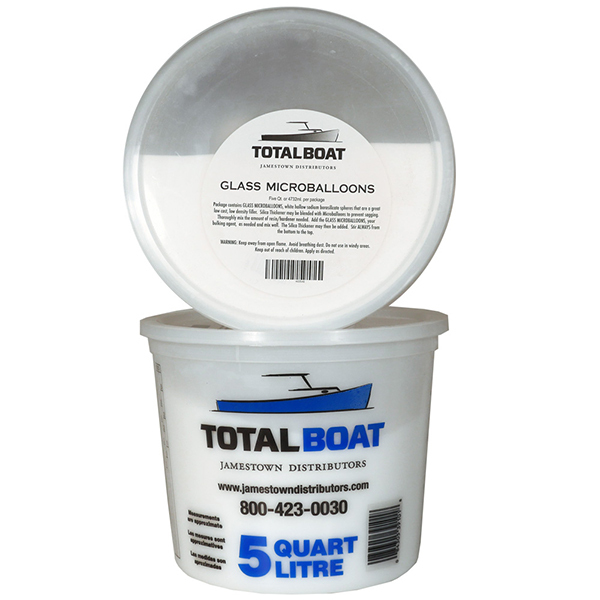 TotalBoat fillers can be used with either epoxy or polyester resins to change the resin properties for various uses, such as bulking out the resin or making it easy to sand. Because fillers can affect the pot life of a resin, create a small trial batch first to determine how much working time you’ll have.